A lot of the couples I work with are not into traditional, old-school engagement portraits with stiff posing and awkwardly cute smiles. And frankly, I'm not either! I love doing engagement sessions, but I like to take a more modern, lifestyle approach to capturing them. I think engagement portraits provide such an epic opportunity to capture something really cool about your life right now; it's like a time-capsule. And especially as you're engaged and planning a wedding, it's a cool chapter of your life to be able to capture - it's sort of a magical time, and really lovely to be able to have a way to document that. When couples are planning some art to hang on the wall with their engagement pictures, a lot of times they'll appreciate having something that's not them in their wedding outfits. The idea of hanging up art in your home that captures your everyday life also creates this feeling that their life/relationship is art in itself - it really celebrates the small, everyday beauty of life and love... Call me a cheesy goober, but I really love that. 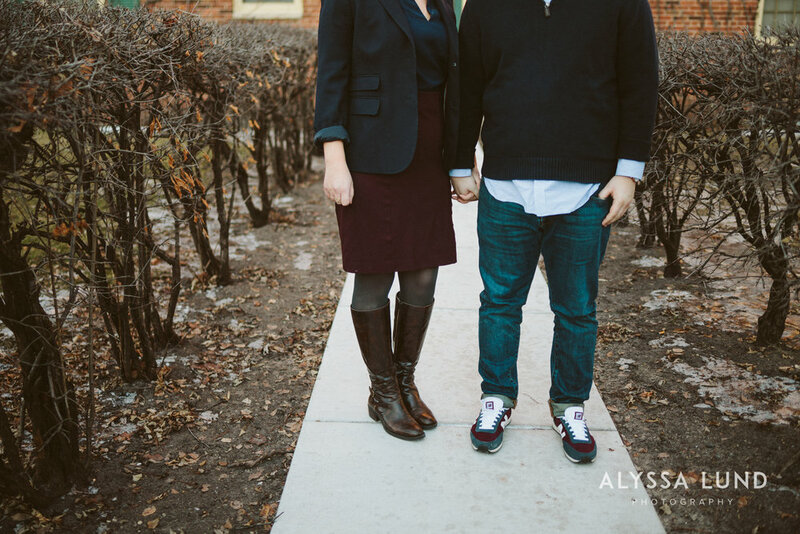 But enough about why I love engagement sessions, let's talk about these people in particular. This is Emily and Phil. I met them last summer because I photographed Phil's brother's wedding, and I'm super psyched for these two and their wedding coming up in the fall! They are super fun, nontraditional, lovely, and down-to-earth. 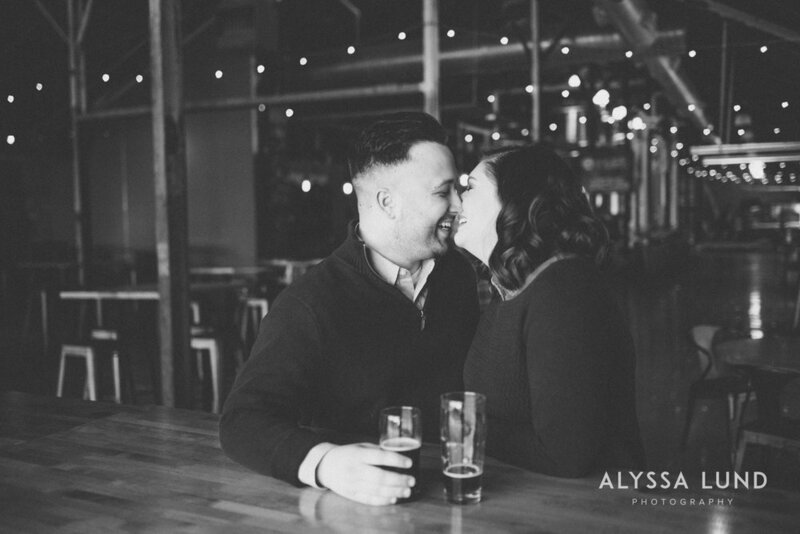 Their wedding is going to be in a brewery and will have a lot of fun personality with no unnecessary traditions; they're really focusing on the stuff that's most important to them: their community coming together around food and drink to celebrate love. Amazing, right? It's going to be a fun one. When planning their engagement pictures, Emily and Phil didn't want to do anything too traditional or formal. They also recently moved from St. Paul to a new home, and wanted a chance to honor and celebrate some of the memories they made together in their old neighborhood. We decided to do a St. Paul lifestyle engagement session that would capture them on a typical day doing some of their favorite things together. We went to Lake Monster Brewing in St. Paul and hung out while they had some beers and chatted- the space has really cool architecture and lighting, and that gave great mood and energy to their portraits. 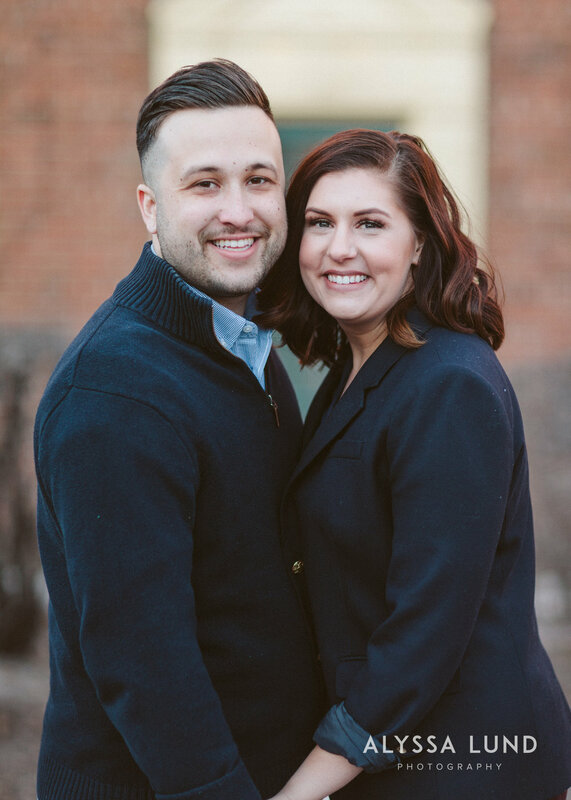 We walked around their old neighborhood near their first apartment building to get pictures of the place where they fell in love - they were really excited to have pictures in a place with so much meaning to them. 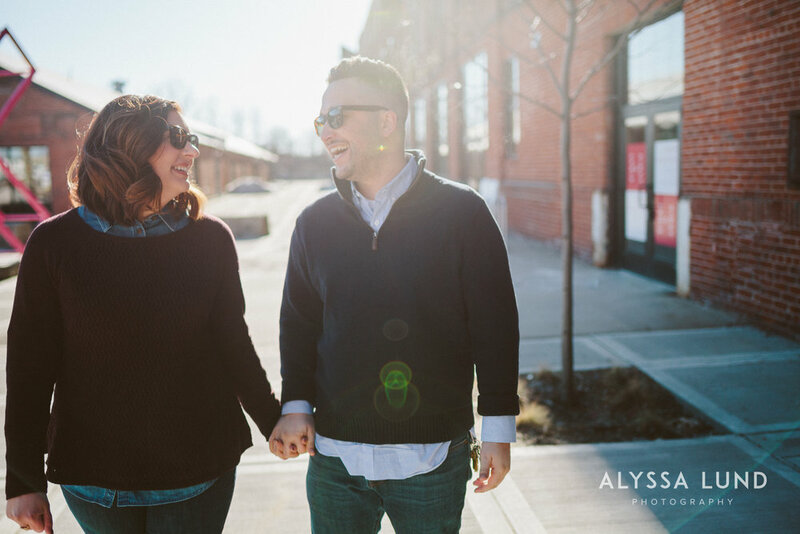 I love lifestyle engagement sessions because they are so full of emotion and personality, and because this session was so relaxed and chill, I felt like I was able to capture some really true expressions between them - the pictures really feel like them.